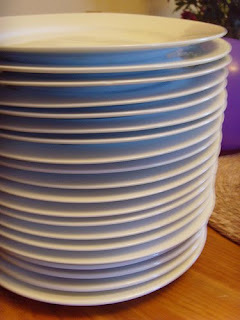 My Mom and I had a BIG garage sale last weekend. It was so fun! People paid US to haul away our cast off stuff - what a concept. Our customers were happy because they found a bargain, and we were happy because we divested ourselves of clutter and earned some extra money. 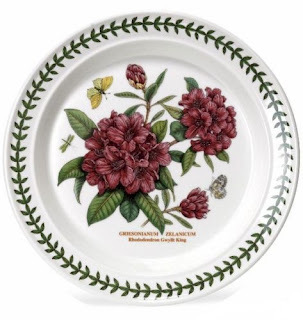 One of our customers bought all the odd and end plates that we had at 25¢ each, including some of my Mom's Portmerion Botanical Garden odd sandwich plates (now THAT is a bargain!!!). 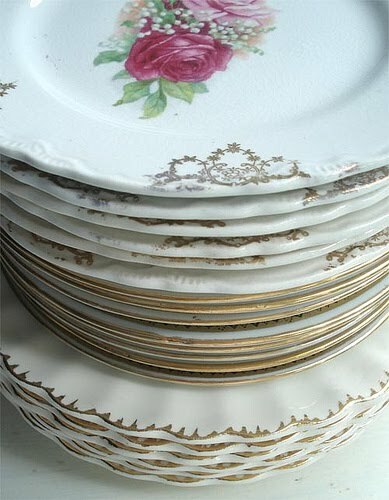 She explained that when she gives a plate of cookies, she can tell the recipient to keep the plate. I LOVE that idea - What a wonderful way to bless a friend. 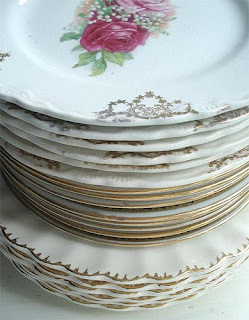 Now I'm all inspired to make some cookies to put on a beautiful thrifted give-away plate! Here's a Portmerion Botanic Garden Plate. Aren't they beautiful?